The Minister of Works, Power and Housing, Mr Babatunde Fashola, has restated the commitment of the Federal Government to the completion of the ongoing Second Niger Bridge Project. 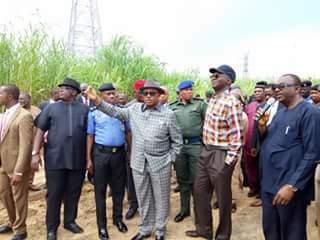 The Minister disclosed this during a 1-day inspection tour of the project in Anambra State, where he was received by the Anambra State Governor, Willie Obiano, at the Bridge Head area of Onitsha. The visit by Mr Fashola was to assess the state of work done on the project and to seek assurances from all the stakeholders of no hostilities and to convey the commitment of the Federal Government to its completion. 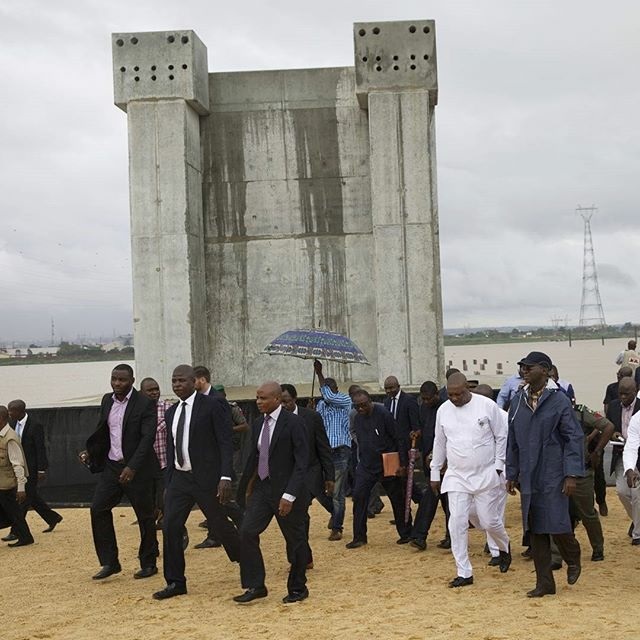 He said that the project would not only bring improvement but will accelerate economic prosperity and give relief to the first Niger Bridge. 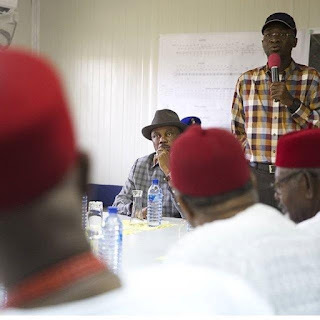 He acknowledged the effort of the traditional ruler of Onitsha, Igwe Alfred Achebe, towards the realization of the project in the areas of resolving issues of land ownership, court cases, compensation, and issues concerning environmental impact assessment which were part of the problems hindering the progress of the work on the project. While the contractor handling the project maintained that non-release of funds was a major setback in the completion of the 1.5 kilometer bridge and 10 kilometer road project, the Chairman of Anambra State Traditional Council and Obi of Onitsha, Igwe Alfred Achebe, urged the Minister to help sort out the challenges and see to the completion of the project which is a major priority to all Nigerians as it is a unifying factor. He also appealed to the Minister to also consider the completion of Dr. Nnamdi Azikiwe Mauseuleum, which has been a 20-year-old embarrassment to the federal government. The Minister assured the stakeholders that it is President Buhari’s priority to see to the completion of the project because it would accelerate transportation, exchange of goods and services across the country. Governor Obiano expressed hope that the bridge would be completed on record time to boost commercial activities and living condition of the people. He raised complaints on the Dr. Nnamdi Azikiwe Mausoleum, the appalling state of the Enugu-Onitsha road at Umunya axis and appealed for immediate intervention. The Governor also appealed to the Federal Government to help fix the power project at Nnewi which he said would cost less than 200 million naira to fix. He finally appealed to the Federal Government to refund Anambra State 43.8 million naira spent on roads and erosion interventions. He explained that the refund would go a long way in sorting out many infrastructural problems in the state.